As you may know, I am expecting my 4th baby boy in September. (Most likely August; my babes always come early.) Yep, 4 boys, all 5 years old and younger. 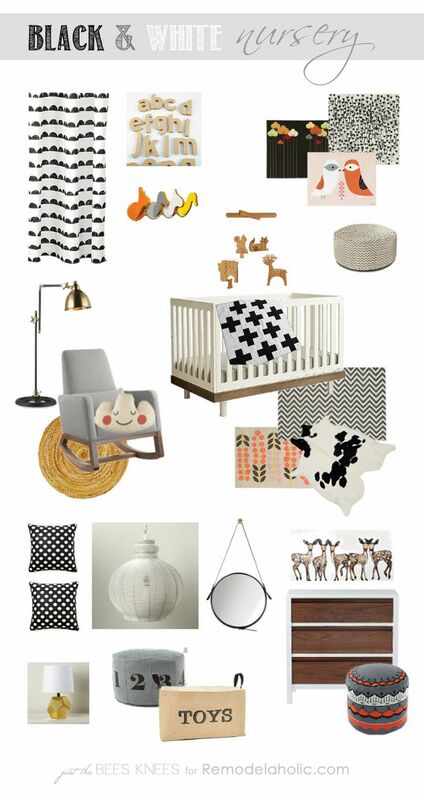 We are super super excited and I’m in full-on nesting/project/crazy mode. 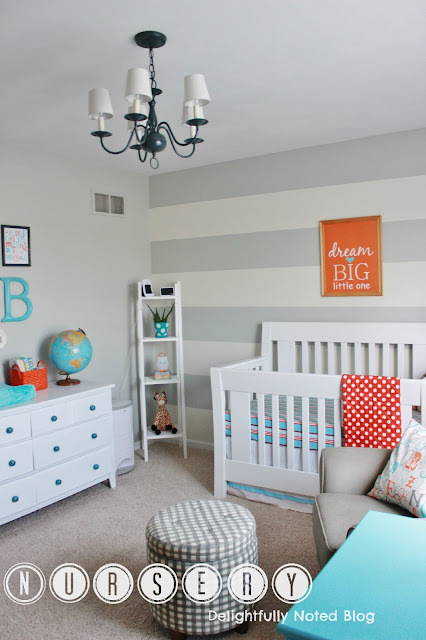 I am redoing the boys’ room. All 4 of them will be sharing the upstairs bedroom (which is a huge room) so I’ve been looking for fun, inspiring bedroom decor ideas. 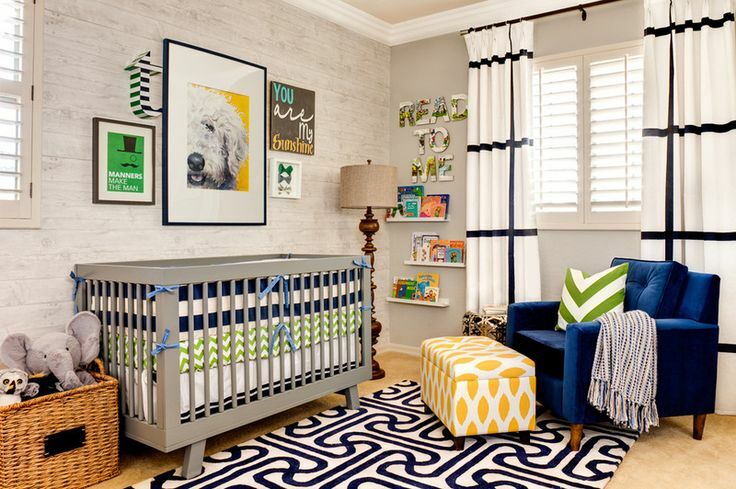 I thought I’d share some cute Baby Boy Nursery Ideas with you today. The boys’ room is coming along great and I can’t to show it to you. I”m already loving it and we still have a long way to go til it’s done. Let’s just hope I finish before baby P decides to come! 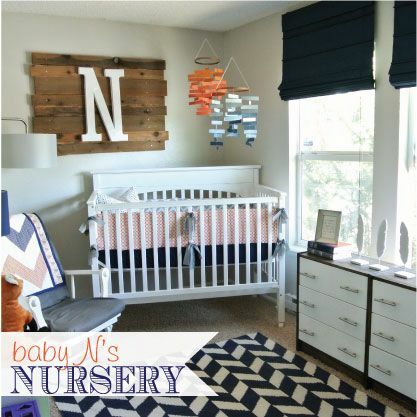 If you’re little guy has outgrown a nursery, be sure to check out my Boy’s Room Ideas! 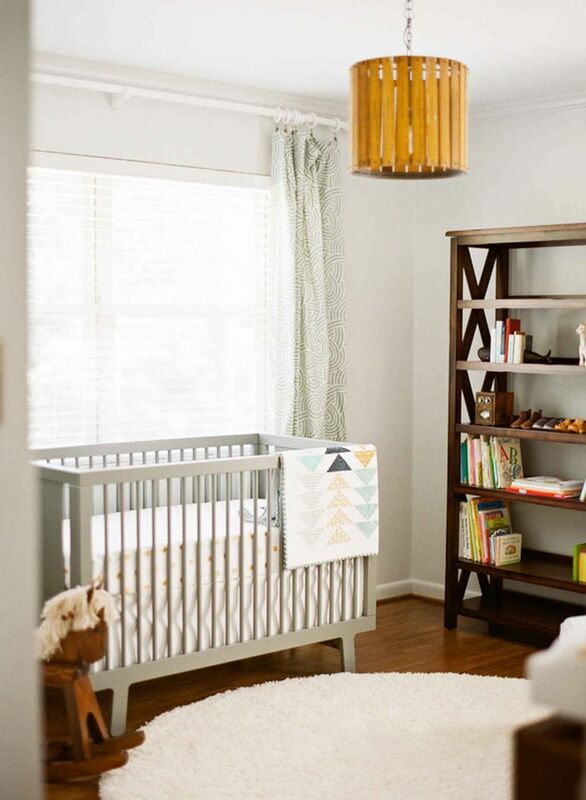 Hi, I LOVE that giraffe print that was used for Henry’s Adventure Nursery. What book did you get the print from? How did you blow it up so much while maintaining the quality of the image? I would greatly appreciate any info. Thanks!